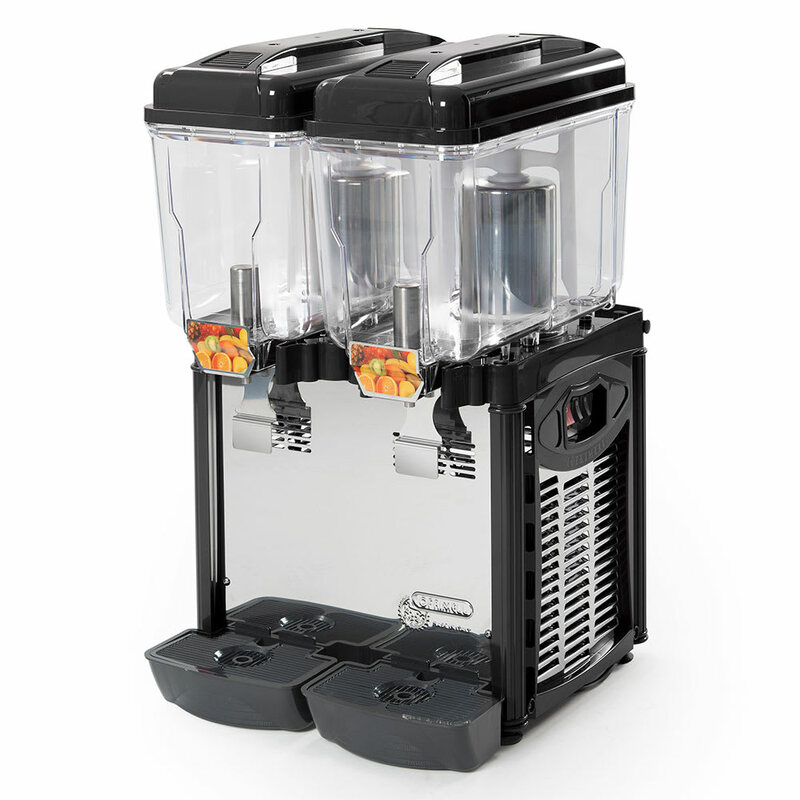 The Eurodib CD2J Cofrimell juice dispenser has an adjustable thermostat and two 3.2-gallon bowls. Each one is made of polycarbonate for strength in high-volume operations. Since the bowls are clear, customers can see juice, promoting impulse sales. Made of stainless steel, the evaporator and base quickly cool the drink. Our juice dispensers article has in-depth information on these units.